Apple announced that it will continue to support Code.org’s “Hour of Code” campaign this year as well by hosting a free one-hour introduction to the basics of computer programming, workshops, and other special events at its Apple Stores across the globe between December 8 and 11. 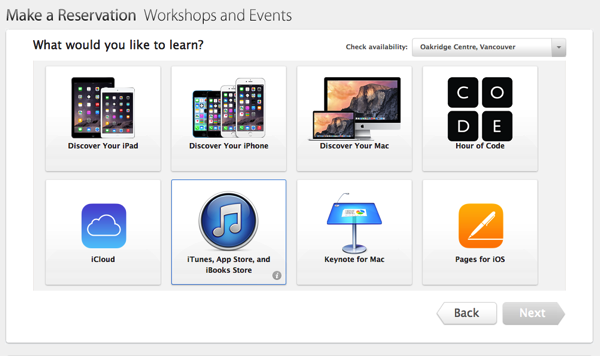 Those interested in attending the free workshop at their local Apple Store are invited to make a reservation by selecting the desired place and time using their Apple ID. 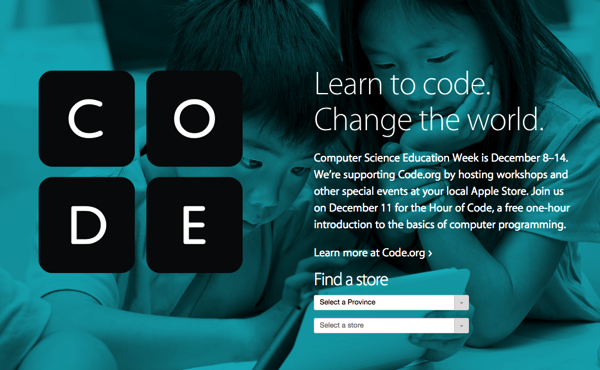 As the “Hour of Code” program is part of Computer Science Education Week, Apple will be hosting developers and engineers in select cities worldwide. Apple will kick off the week with an event at its Apple Store in Ginza, Tokyo, where Hideko Ogawa and Takako Horiuchi, founders of Flask, will talk about how they got involved in programming and design and will also share some backstage stories about their latest iOS app, FitPort. 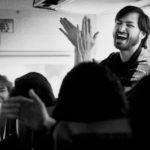 Apple will hold special events as part of Computer Science Education Week in Michigan, London, New York, Berlin, and Osaka as well. In case you are interested in joining the “Hour of Code” workshop at any of the Apple Retail Stores in Canada on Dec. 11, locate the nearest store and register now on this page.